Watch our newest Vlog. Please watch and enjoy! 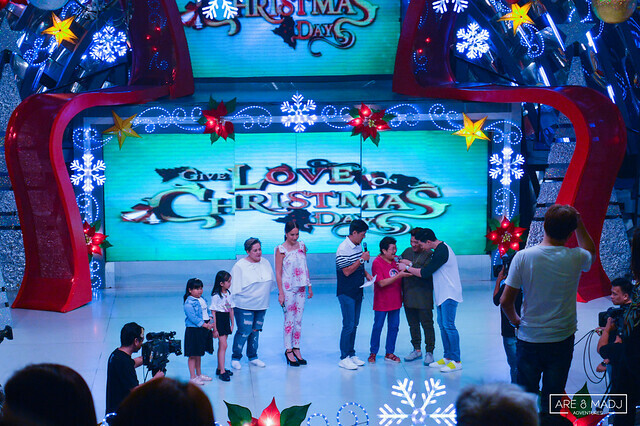 It was our first time to become part of the jolliest and liveliest studio audience of the longest running noontime show in the Philippines, Eat Bulaga. On November 21, 2017, our long-time wish came true. 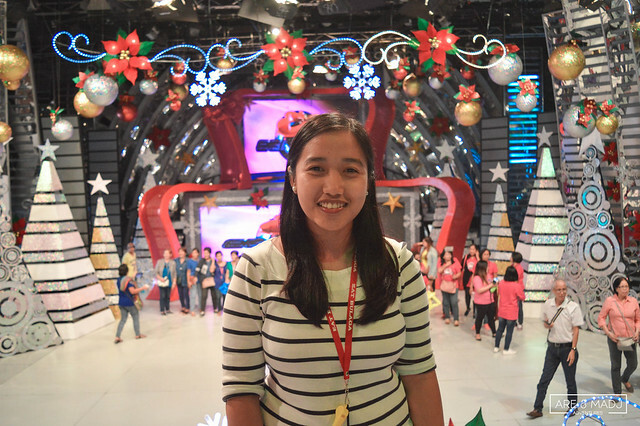 With the help of Ate Vanessa, who reserved seats last year, we got a chance to watch Eat Bulaga Live in Broadway. Let me share with you our experience. We definitely won’t forget the laughter and happiness we gained from this experience. 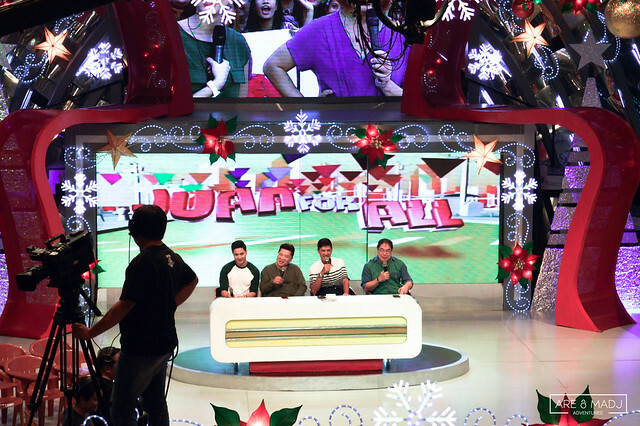 We laughed so hard; we danced to the beat of Eat Bulaga songs and finally, saw our favorite idols in person. 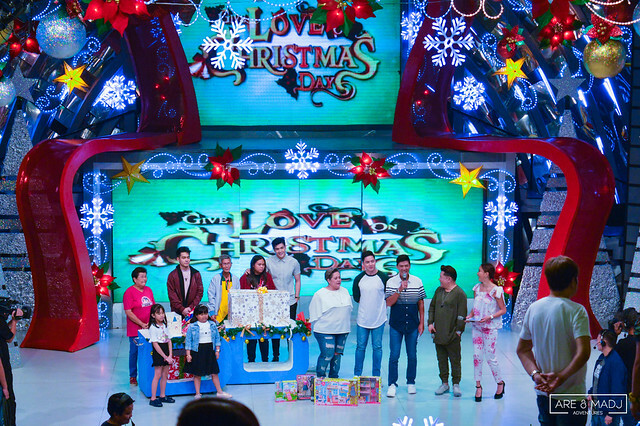 Though, we didn’t see Maine Mendoza personally that day (*whispering* this was really the main reason why we planned to watch Eat Bulaga. 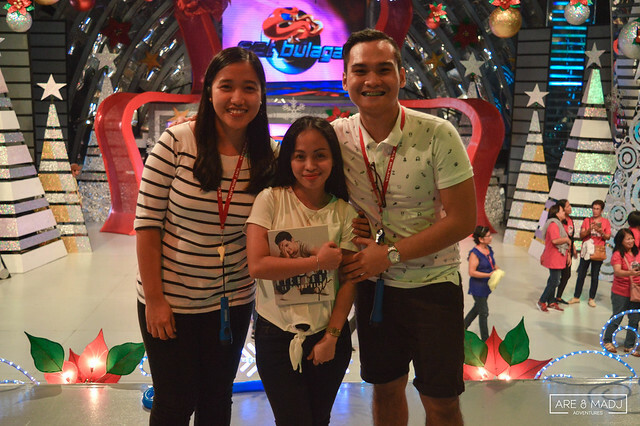 To see Aldub Loveteam *smiley face*– Alden and Yayadub aka Maine Mendoza in person), we still got a chance to see Alden Richards in person. 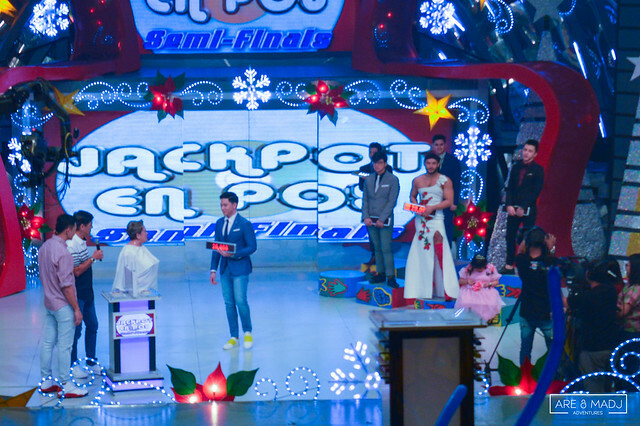 It was not our first time to see Alden Richards because we’ve seen him once when they had a mall tour last year (May 1, 2016) for Bingo in Glorietta Mall. 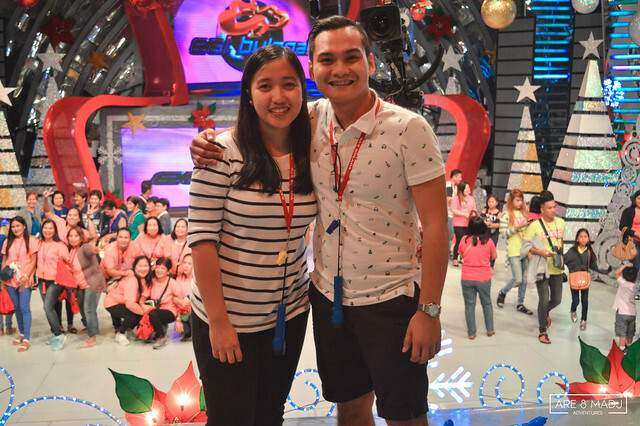 Quick Trivia: Madj is one of the super fans of Alden and Maine Mendoza (Aldub Loveteam). 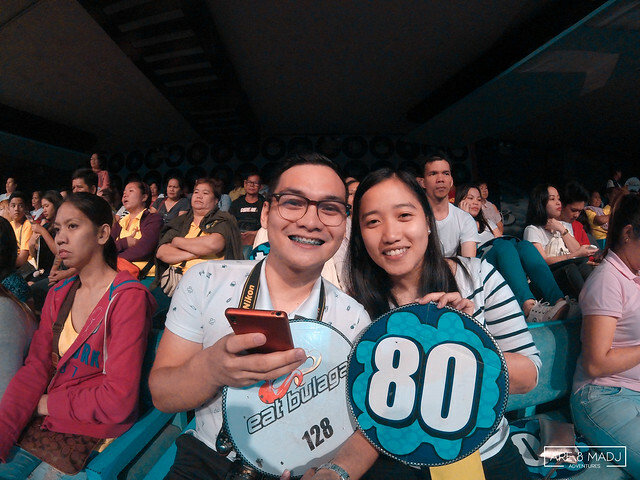 So, to fulfill her long-time wish, to finally see Aldub in person, we planned to be part of the studio audience and watch Eat Bulaga Live in Broadway! Sa pag-ibig, walang malalim na dagat. 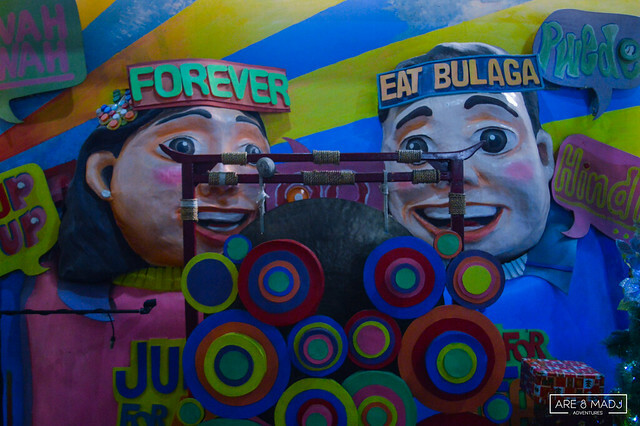 Sa pag-ibig walang malayong landas. 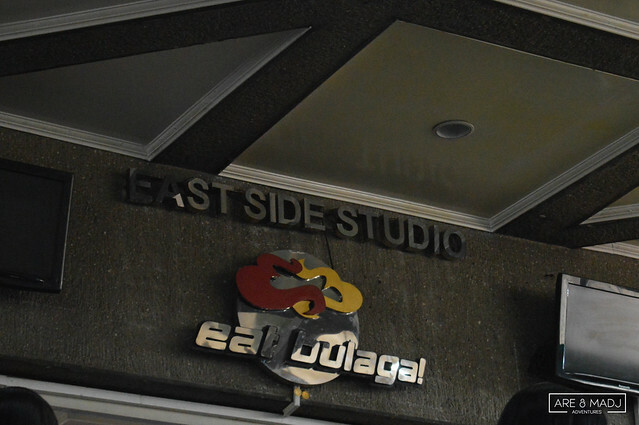 Upon entering the studio, we got stamped on our right hands as we entered the East Side Theater of Eat Bulaga. 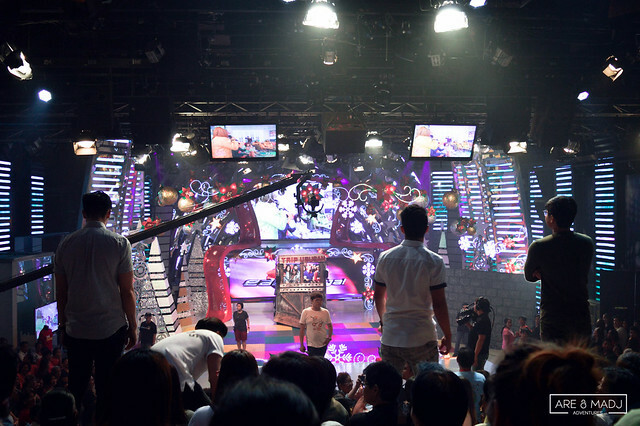 We were a bit surprised that the studio was not that huge, and the seats for studio audience were not as big as what we expected. The east side theater can accommodate 400 studio audience. 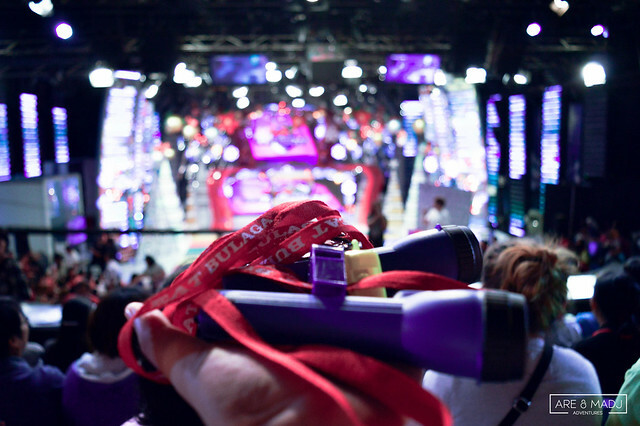 Eat Bulaga has special gift / souvenir to all the studio audience — The SOS Souvenir Kit. This will be used in case of an emergency and unexpected occurrence most especially for the senior citizens who have been part of the studio audience. SOS Souvenir Kit! 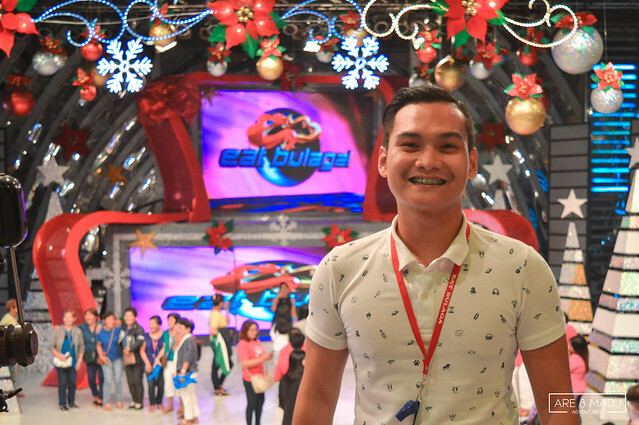 Thanks Eat Bulaga. We took our lunch for a few minutes. We didn’t have time to pack our lunch so we only bought outside the studio. 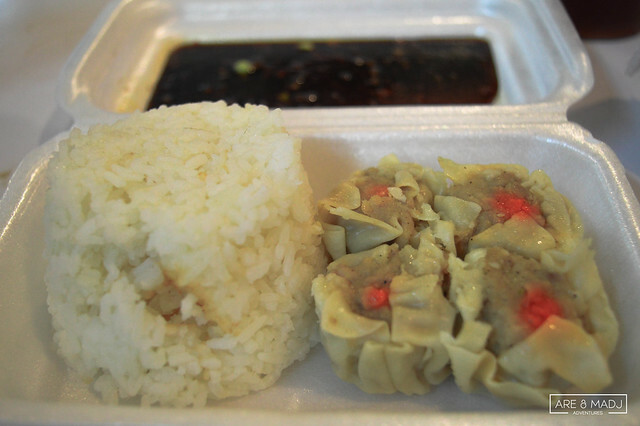 Shawarma and siomai for lunch. Kain! Time to watch it Live! 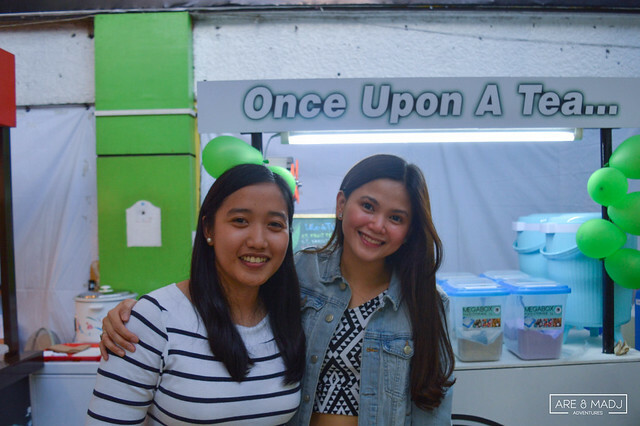 We would like to extend our sincere gratitude and appreciation to Ate Vanessa for giving us two slots that made this journey possible. 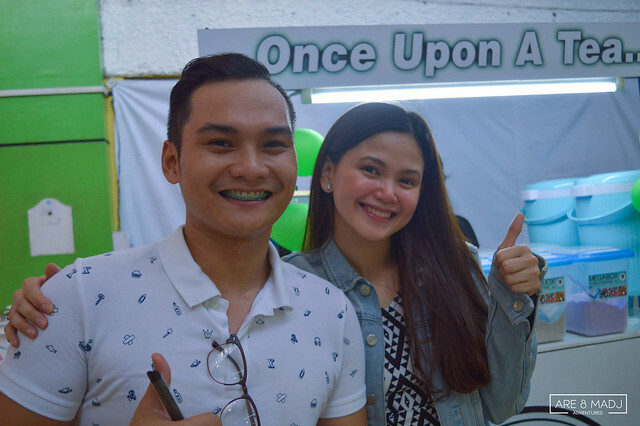 Sa susunod ulit! 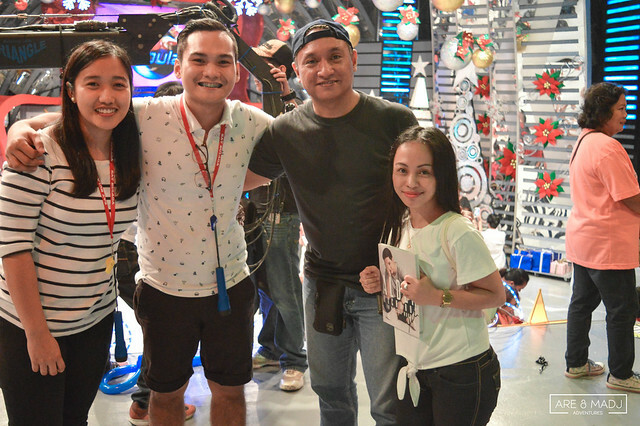 We would also like to thank Kuya Eric for giving extra effort to have a book signature from Alden to the newest book of Maine Mendoza, Yup I’m that Girl. Madj was overly happy and blessed about the book signature. May you continue to share your blessings to others. 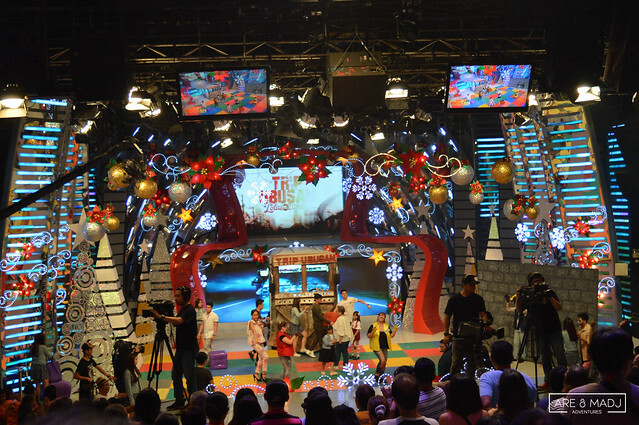 Thank you Eat Bulaga for the memorable experience and happiness you’ve shared to us. This experience will always be remembered and I’m sure na mauulit pa ito. 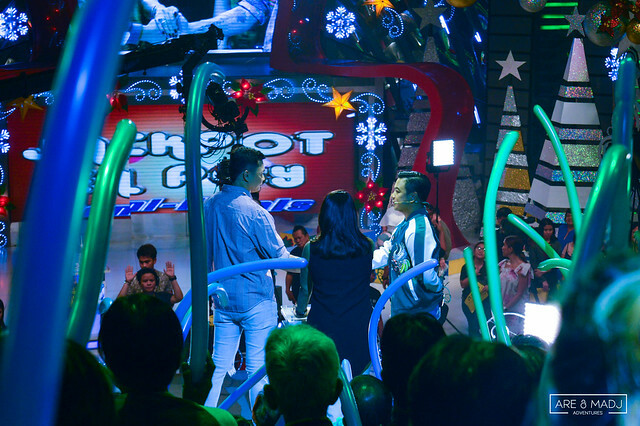 Till we meet again Dabarkads! This has been a memorable experience to date and a day full of laughter, fun and unforgettable memories. 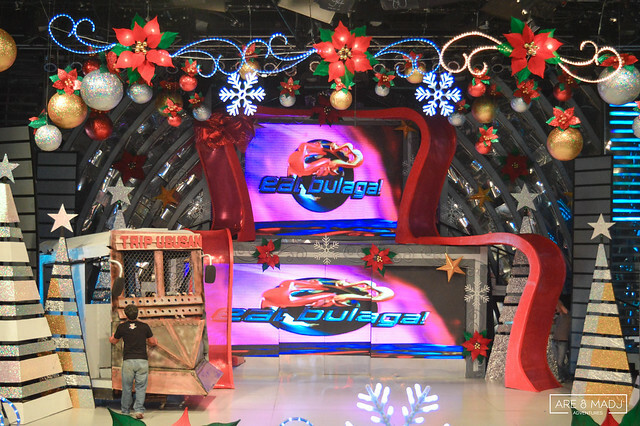 Hopefully, when we visit Eat Bulaga again, we can finally have a Meet & Greet with Maine & Alden. “It’s not enough to have lived. Trip Ubusan: See us clearly at 1:33s-1:34s! HAHAHA! As we walked away from the Broadway studio, we had a chance to have a picture with Molly, one of the EB Babes. Hi Molly! That’s it folks! Till our next adventure~! Reservation and entrance is free of charge. 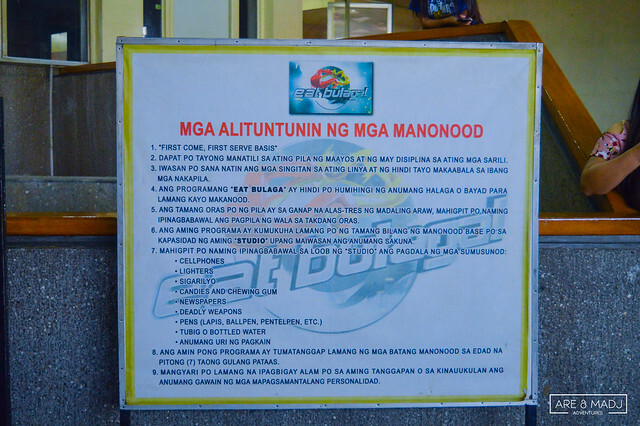 Children below seven (7) years old are NOT ALLOWED to enter the studio unless they are contestants or participants of the show. Mobile phones, food and drinks are strictly prohibited in the studio premises and shall be surrendered to the security guards for safekeeping. 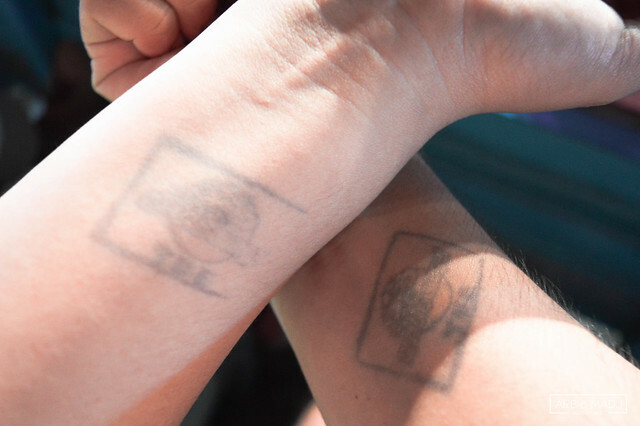 All studio audience are required to bring at least one (1) valid ID for identification purposes. For further questions, please call 721-2222, 725-7100, 0927-7918828, 0949-6432631 and look for Tonette Aduna or Hyacinth Uri. 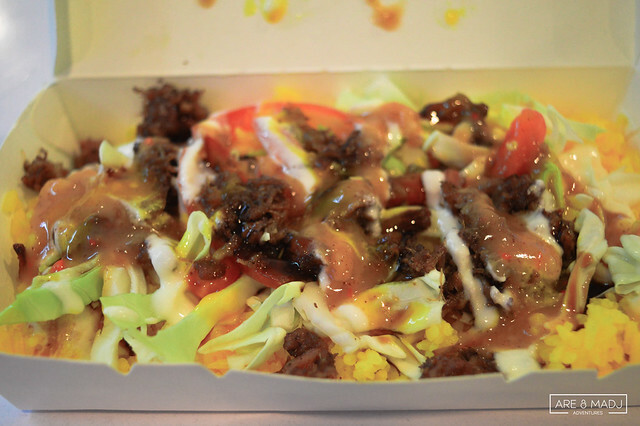 Pwede ka pa bang lumabas to eat after mong makapasok sa studio? and may seat number ba yung reservation or need mo maagang pumunta para maganda yung seat mo? Yes, pwede ka lumabas to eat after mo makapasok sa studio, since meron talagang bilihan ng pagkain sa labas. 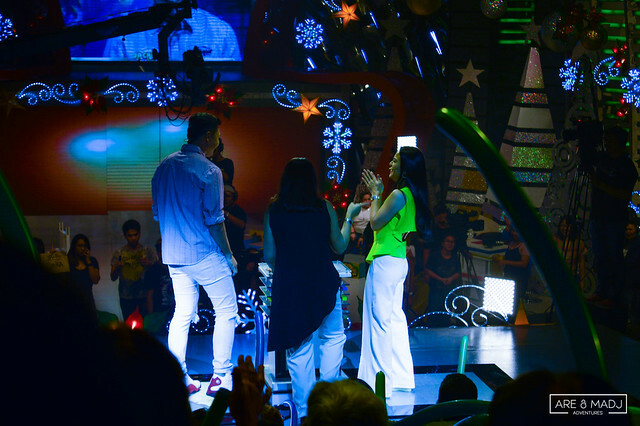 Allowed ka to go outside the studio, if di pa po malapit mag start ng program. 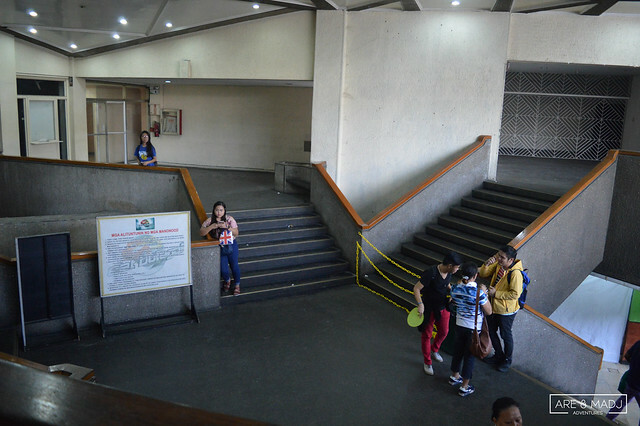 No seat number for reservation po nung pumunta po kami, free seating po sila, and yes, mas maraming benefit pag maaga ka, mas una ka sa harapan as long as kumpleto na po ung requirements po na need para makapasok po kayong grupo at mas marami ka pang time na mag-enjoy sa loob po ng studio. Hope it helps! 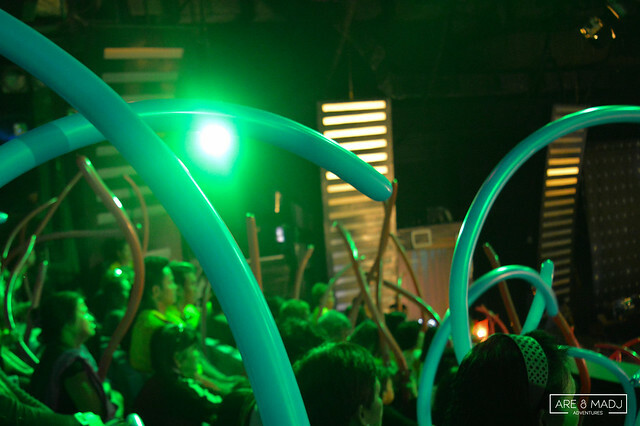 Enjoy po sa panonood!